Your floors can affect the functionality and aesthetics of your interior or outdoor space. A poorly installed flooring may pose safety risks to people or create an unwelcoming ambiance. These can be avoided by selecting the right type of flooring material during the construction of your home or commercial property. If you are doing a home renovation, make sure to replace the old flooring with a better material. Lastly, hire a competent and experienced flooring installation company. It can guarantee excellent installation of your chosen flooring material. Among the local flooring contractors in the state, Moriarty Floor Covering, Inc. is the most trusted company. We are the preferred flooring installers of local residents because of our first-rate services. Our adherence to world-class standards and use of premium flooring materials are just some of our advantages over other service providers in Indiana. We never settle for subpar results or work hastily to get more projects. When you hire us, you are assured of quality workmanship and topnotch products. You can see some of our completed flooring projects in Bloomington, Kirby, Harrodsburg, Unionville, Ellettsville, Cincinnati, Whitehall, Hendricksville, Bedford, and Springville, IN. Majority of our clients are homeowners, but we also have a large number of clients from the commercial sector. Please call us now at (812) 824-5555 and let's discuss your flooring installation project. 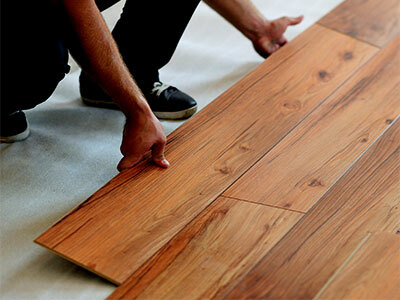 You will be assured of top-quality flooring materials if your contractor uses well-known brands. Large manufacturing companies will offer only topnotch products to protect their reputation and integrity. Among the top flooring suppliers in the country today are Armstrong, Shaw Floors, Mohawk, Tarkett, US Floors, American Carpet, and Somerset. These companies offer a variety of flooring products that range from hardwood, vinyl, carpets, luxury vinyl tiles, laminates, ceramic tiles, engineered wood floors, and stone tiles. And here at Moriarty Floor Covering, Inc., we have partnerships with these leading manufacturers and suppliers. We use their products in our flooring installation projects. Most property owners are concerned about the cost of new flooring installation. But with proper planning, you can easily determine the project cost and other possible expenses during the implementation of the project. It is also best if you will seek the help of professional flooring installers like us at Moriarty Floor Covering, Inc. We can help you lower your project cost by recommending a more cost-effective flooring material. We can also work on your set budget and still provide you with excellent flooring products. We have more than 15 years of experience in this business, so you are assured that you are dealing with real professionals. Contact us today and we'll help you find ways on how to effectively cut your installation costs.